The key to successful geo farming is to build a recognizable brand and meaningful relationships, not just to self-promote. But here’s the hitch: isn’t that what social media is all about? Shameless self-promotion? How do we use social media as a marketing tool, while also building real connections with the people in our neighborhoods and geographical farms? While it may be difficult, it’s possible to walk the line between advancing your business and letting people know you’re there for them. 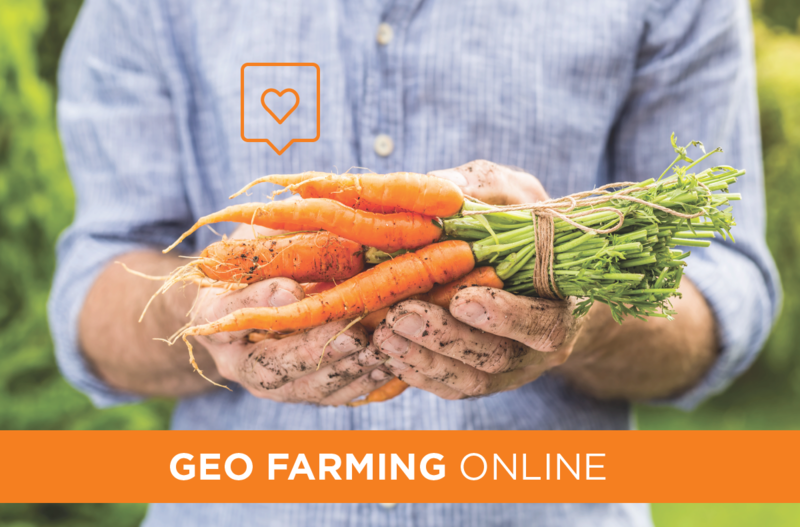 This blog post will give you a few ideas for using the social tools available to you to form new connections and relationships with homeowners in your geo farms. In our last post we talked about several print and in-person techniques, but this post will focus on a few social media-centric marketing tools to grow your geo farm. Many neighborhoods are starting to use Facebook groups or other social media platforms to stay connected. If your geo farm uses these groups, engage in community questions and conversations. If your community doesn’t have one, it’s a perfect reason to start one! Use all the tricks up your sleeve to invite neighbors to join the community group—knock door to door, send flyers through direct mail, make phone calls—you know the drill! Invite them to connect and engage with their neighbors and community while you connect and engage with potential clients and friends. Caution: it’s important to use these platforms to build relationships and not solely for self-promotion. The promotion is a direct benefit from providing service and friendship for the members in your geographic farm. There may be rules about ads or promotion on whatever community forum you use, so be sure you know the rules and abide by them. People will come to you once they know you’re there to help and guide, and not just to throw your business card in the bowl. Many social media platforms, like Facebook, allow you to target specific people in your ads. Although this method is more straightforward then creating a board where community members can engage, you can still provide a service while also letting potential clients know that you are there for all their real estate needs. Neighborhood Search from Landvoice generates homeowner’s names, addresses, and contact information for the 100 closest homes in a specified area. This is a fantastic service because you can then import this contact list into Facebook Custom Audience, and there’s no limit to how many times you can use Neighborhood Search with a Landvoice subscription. In the age of social media and connectivity, it would be foolish to limit yourself to one type of prospecting or marketing tool. Combine the old with the new, and add social media techniques to your tried-and-true go-tos like cold calling and door knocking. Always strive to add the human touch to every advertising interaction.